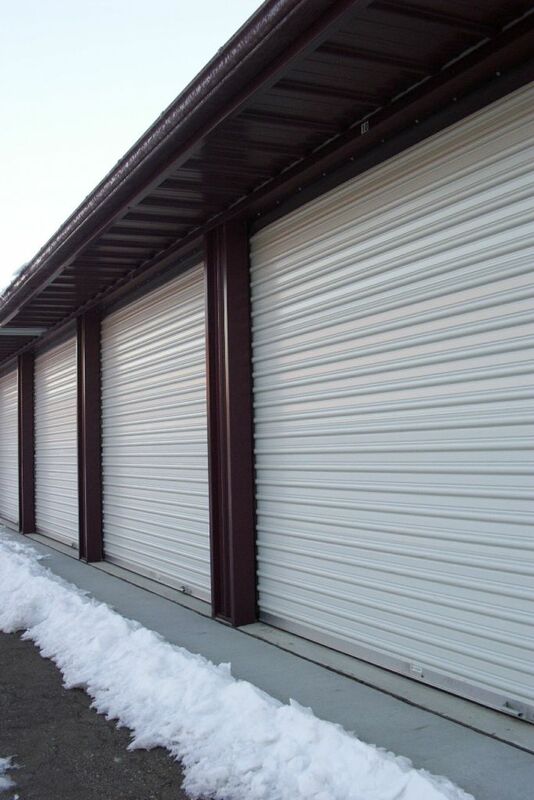 Our storage units are DRY! Gutters and downspouts on all buildings. 2' overhang on all buildings. This allows snow to fall away from the doors so they don't freeze shut in the winter. 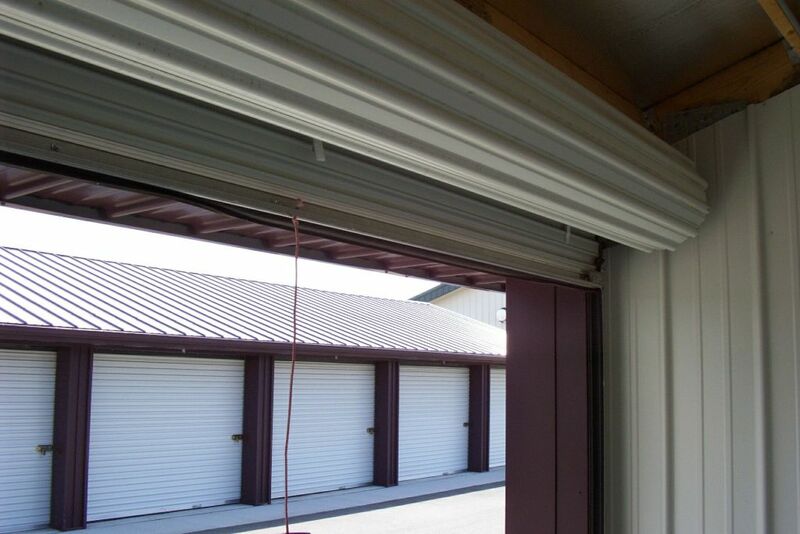 The overhang also helps to keep items toward the front of the unit dry when it's raining and the door is open. Units have concrete floors with 3' of concrete extended in front of all units. There is a lip in the concrete to trap moisture between the bottom of the door and the lip. Basically water cannot flow back into the storage units. Ground slopped to funnel water away from the storage units. "A" frame Morton Building construction. This gives you added heigth in storage space. Our Moto: We do the little things that count! Shown here is roll up door. Eliminates track and thus gives renter additional storage space. Ground slopped to get water away from storage units. 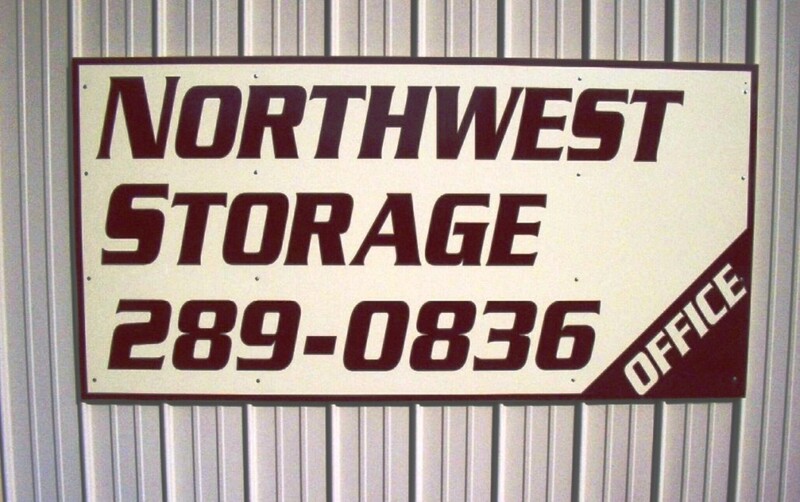 Copyright 2018 Northwest Storage, LLC.. All rights reserved.